Our work in congregational governance aims to liberate and empower leadership for mission, to liberate the professionals for action and the laity for depth. Our Leadership Cycle in the Mission-Focused Congregation represents the interaction between board and minister, between professionals and laity, that allows that to happen. 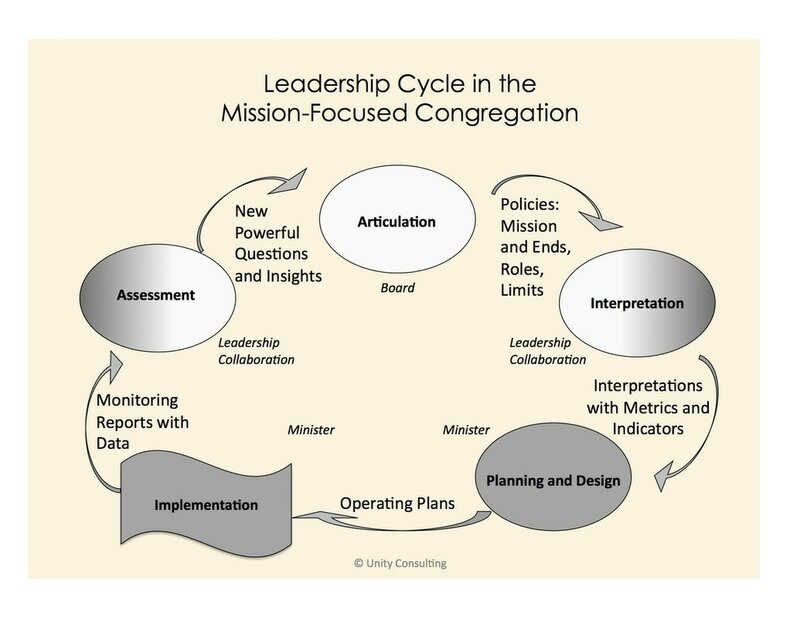 You can listen to an overview and explanation of this cycle in our webinar: The Leadership Cycle in the Mission-Focused Congregation.